News Detail - Be an Educator, Be a Write Right franchise! If you are looking for grabbing a right chance to own an individual business, partner with Write Right. Write Right has been working on Handwriting technology since 16 years, and have served lakhs of students by now through their support for handwriting repair and improvement. For this, a gigantic network of largest chain of handwriting institutes has helped the company reach a large number of students and individuals. Children are the ones who are going to lead the future. Realizing this situation, the parents have been focusing on providing the best education solutions to their children. Handwriting is such an aspect of education that is extremely essential as it is like a shadow of an individual. And, Write Right has made all efforts to incorporate good handwriting skills in children. To reach even more number of children, we invite enthusiastic and dedicated business persons to invest in such a unique concept for children education. Our services are structured after a thorough market research and so we guarantee a positive outcome. 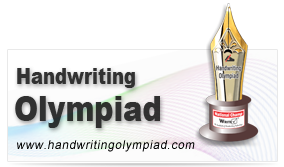 We assure everyone who wants to partner that by becoming a Write Right’s handwriting franchise, they will accumulate high amount of admiration and gratification. Your endeavor is not only going to benefit the students, but also their parents, teachers and other people around in their group. After all, a good handwriting gives a social identity to individuals as it reflects their personality. Take a step to shape brighter futures by owning a handwriting franchise. Contact Write Right today and serve the students by providing all handwriting solutions.